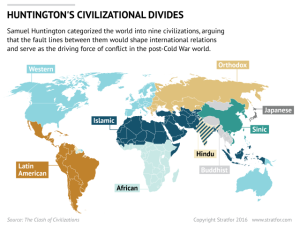 Twenty years have passed since famed political scientist Samuel Huntington published his seminal work, The Clash of Civilizations and the Remaking of World Order. He predicted a world where there would be a clash with the Islamic civilization. Like the Islamic world, the Sinic civilization believes itself to be superior to the West, and Huntington predicted it would therefore seek to challenge the West and its designs for global influence. China’s resistance to Western supremacy stems from its Confucian values, which emphasize the importance of hierarchy, authority, consensus and the state’s dominion over society and which clash with American beliefs of liberty, equality, democracy and individualism. The chasm between the two makes a Western-style political structure incompatible with Chinese cultural and civilizational traditions, just as it is incompatible with the Islamic world’s rejection of the separation of church and state. As a result, the relationship between the two civilizations would become increasingly confrontational, especially as China’s economic and military power expands and Beijing begins to pursue a role as a regional hegemon. Instead of promoting the supposedly universal features of one civilization, the requisites for cultural coexistence demand a search for what is common to most civilizations. 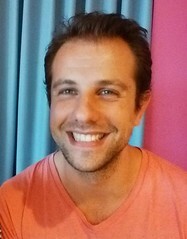 In a multicivilizational world the constructive course is to renounce universalism, accept diversity, and seek commonalities. We have politicians currently campaigning in America and Europe taking advantage of bigotry, racism and other despicable traits that take us a step back. To me, the above mentioned quote is a timeless reminder, that there is no one system that is superior so let’s just settle to be different and celebrate that.